Sales program – TPS-IMP d.o.o. We are the official representative for Dwyer products in Slovenia, Croatia and Serbia. In the times when costs for energy are higher and higher and the need to recude CO2 emisions, heat recovery system are becoming essential part of air condition units. Basic principle of heat recovery system is that the outlet air which is heated we use to heat medium so we can take heat from the air and use it on the inlet air which is cold to heat up. So that way we do not need to cool down or to heat up water to get heat or cold air for the spaces. With heat recovery systems we can reduce costs for heating, cooling and moisturizing. 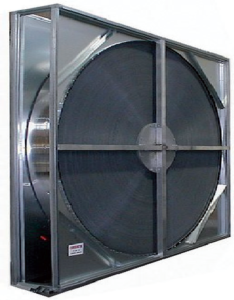 Most of the heat recovery systems used today have width from 200 to 250mm. Plate heat exchangers can be made for cross-flow or counter flow design. 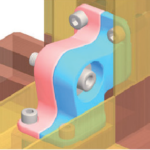 The counter flow design can make up to 90% efficiency. Crosstip recuperators are used in larger devices and they have optimal ratio between investment and savings. 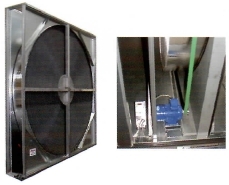 Modul systems EUR – 1 are mostly used for industrial and business residential air conditioning. They are also used in transport, electronics, trade fair construction and solar industry. 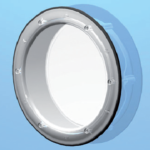 The main components of the system are aluminum profiles and accessories made of aluminum or plastic.